According to the National Digestive Diseases Information Clearinghouse, someone is constipated if they have a bowel movement less than 3 times a week. This leaves a large range for what is considered “normal” frequency of defecation, from going three times a day (after every meal) to three times a week. 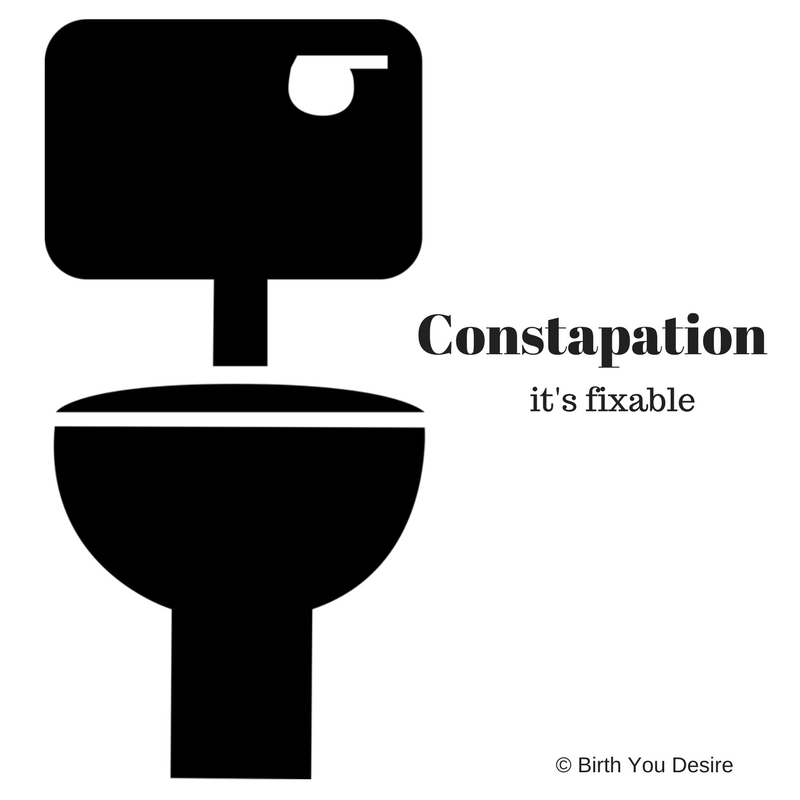 All of us will likely experience constipation at one time or another in our lives. Constipation just means that our food has spent too long in our colon, so more water than usual has been absorbed from the stool leaving it dry and hard to pass. This can be a frustrating symptom, leading to abdominal bloating, gas, increased pressure on the pelvic floor and surrounding organs and back pain. The best treatment is to be aware of the contributing factors and make daily lifestyle changes as needed. Sometimes, constipation is a symptom associated with a specific condition such as from suffering a stroke, rectal prolapse, and irritable Bowel Syndrome or IBS. Constipation is common during pregnancy as the abdominal contents must shift and compress to accommodate a growing baby. When you go to the bathroom, your pelvic floor muscles should relax to “open the gates” and allow passage of stool and urine. Some people lose this normal coordination if they hold tension in their pelvic floor from life stress, or if they’ve had trauma to the pelvis, back, abdominals, or hips (childbirth and surgery). A pelvic floor physical therapist can help your body re-learn proper pelvic floor muscle coordination with biofeedback, manual therapy, and postural education. In some cases, performing an abdominal massage can stimulate a bowel movement. Your physical therapist can teach you the massage sequence and appropriate amount of pressure. He/she can also perform visceral manipulation, techniques to restore normal movement in your abdominal organs. Your physical therapist can prescribe exercises to improve your flexibility and strength so that you can be physically active in the community without pain. Establishing a daily exercise routine is an important step in reducing constipation.